In my family, when I was growing up, we had a saying 'Take sixteen eggs'. It meant anything which, while desirable in itself, was in-excess of our, or anyone else's, needs; a reference to Mrs Beeton's cookery. This post is about a book I've been sent to review. 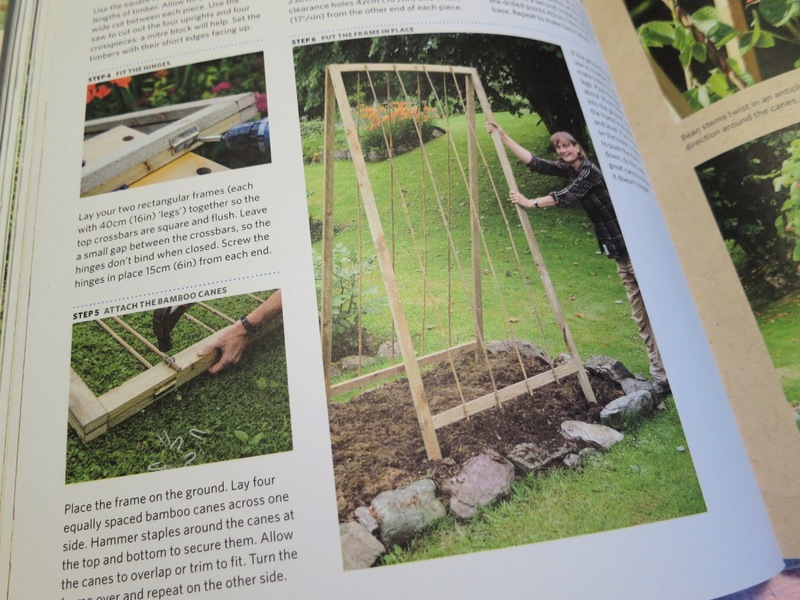 30 DIY Projects to Improve Your Harvest'. It's by Joyce Russell with photographs by Ben Russell. From a 1903 version of Mrs Beeton's Cookery Book. Despite this, I get real joy from books recommending you take cushions from your house and put them in the garden, or that reckon you'll have the time and wealth to build beautiful paths and sheds on your allotment before spending only half an hour each day on the veg.. I like pictures. I like absurdity. So . . . I'm about to tell you of a book so peculiar I really and truly have lain awake in the night puzzling about who would read it. It's not for me. I doubt it's for you. So what is it for? None the less, I've not put it aside so . . . there must be something which attracts . . .
Back to the sixteen eggs. - let alone tinned oysters! If given the choice of simple meals I'd rather eat baked beans on toast. One of the Mrs Beeton cookery books I have at home was published in 1903 - an era in which people of modest means were trying to be less modest in what they cooked; and they wanted to present themselves to the world as wealthier and more sophisticated than they really were. So the tone is confidential. It tries to show how one person in a kitchen can provide a meal which would previously have needed several staff to prepare. And although it advises how to truss snipe and serve a calf's head, it also gives a recipe for 'cheap gravy'. 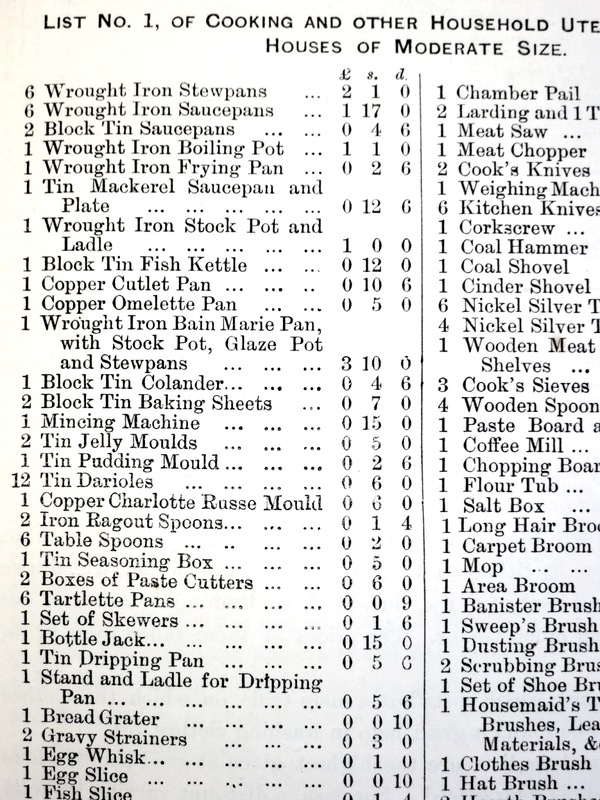 Tinned pineapples and peas figure in lists of ingredients. Heavy duty protection for carrots. The 'recipes' here are as mind boggling as calf's heads and, on the whole, also in excess of what most people would want or need. I've turned it around in my own head, over and over - would anyone really take time to build a huge and heavy wooden fort in which to protect carrots from carrot flies descending from the sky instead of leaping sideways? How would I get the carrots out? Where would I put it in the winter? Who would help me cart it around the place. Would its benefits outweigh its challenges? 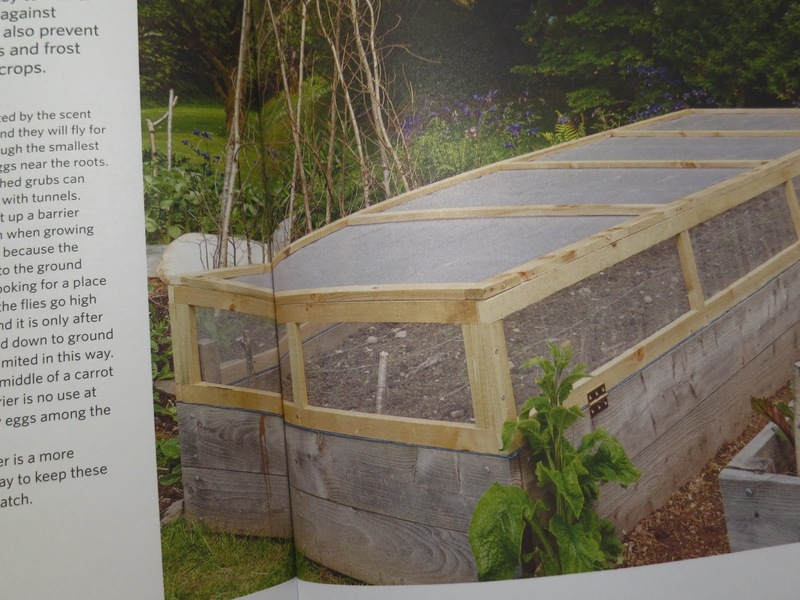 Then there's the hinged construction for growing beans up. Poles can be a bit awkward to tie into lines or wig-wams . . . but it doesn't really take that long if you only need a few . . and it's very satisfying when they're all neatly in place . . . wouldn't a wooden frame which looks like a clothes airer not fly away in our mid-summer storms? And in terms of health and safety . . . I don't think using a power-tool to drive screws downwards into the sides of frames supported only by hand is sensible. Nor using the lawn as a work bench. Stones are mysterious creatures. You think you've cleared them but they wriggle underground till they're back exactly where you don't want them; and if they've taken residence right under your whirring power drill . . trouble! 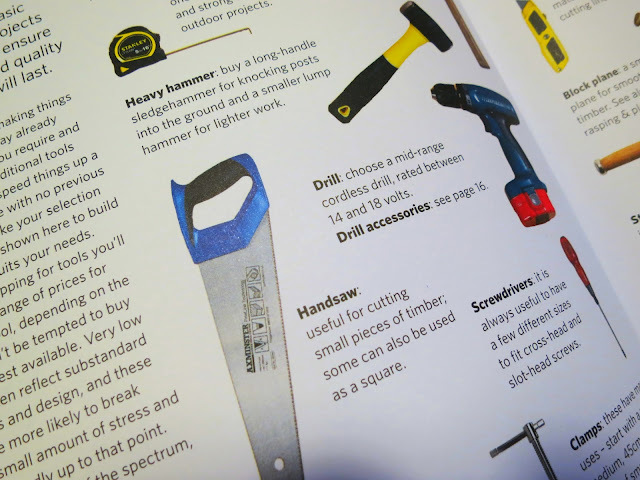 Some of the tools recommended in the 'Build a Better Garden' book. 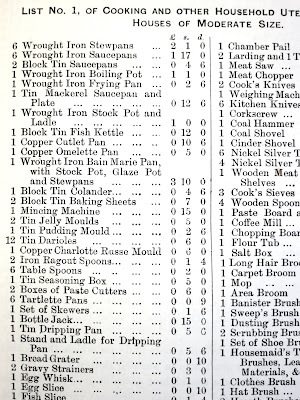 for home cooking in 1903. So . . . why am I telling you about this book when it could be dangerous in the hands of a ham-fisted amateur; and when there's not much point in buying it if you're a professional because you'll know it all already? 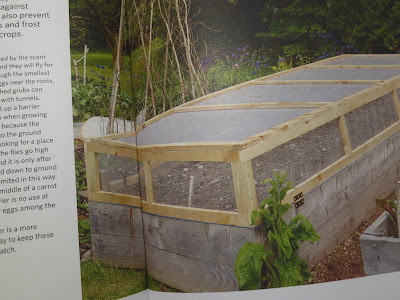 I enjoy a bit of digging now and then, and I'd like to live in a big house with a big and beautiful garden and space to store carrot forts, but I'm unconvinced everything here is truly useful. Back to the question then - why am I writing about this book? And, for that matter, why did I lie in bed wondering why I'd decided I would do so? This is the kind of thing I admire but can never achieve. So, this book is, I've decided, a kind of philosophy of wonder . . . of how can anyone be this precise and clever? . . . and why would anyone want these things? . . . and would I buy all this equipment unless I wanted a career in carrot-fort construction? . 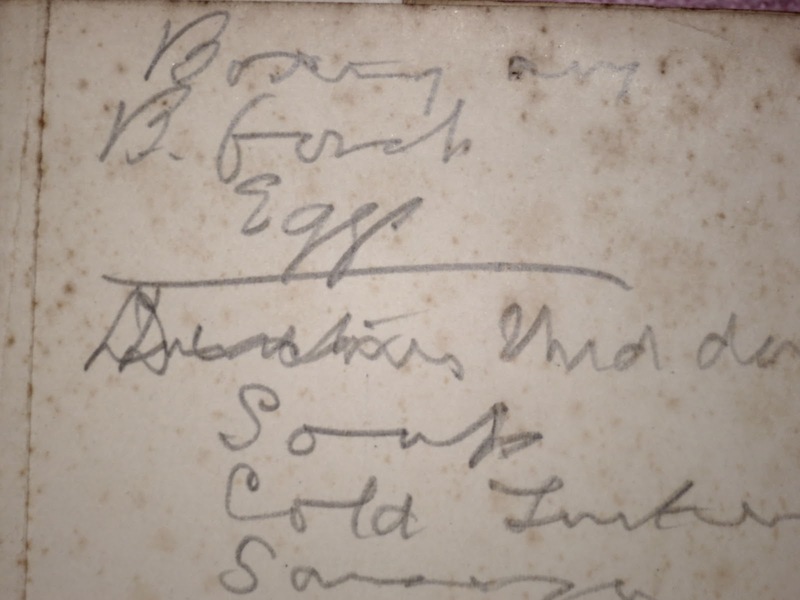 . . and why did the 1925 list-maker think it necessary to pencil into the front of her Mrs Beeton cookery book that her family would be subsisting on a relentless diet of potatoes, cold ham, cheese and swedes once Christmas Day was over? For the thirteen fresh eggs which figure at the top of 'what's needed for Boxing Day' vanish as soon as they're mentioned. So here's another context in which we can say 'take sixteen eggs'. The strange desire for such superfluities surfaces when, although we don't specially want to be mega-rich, we'd wistfully like to have a little more than we have just at present. 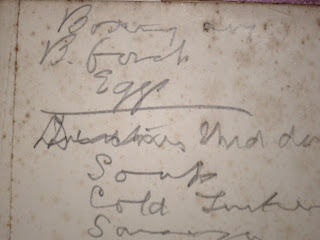 So we write 'take sixteen eggs' before knuckling down and trying to pretend, as that list maker did, that serving potato mashed is enough of a variation to make a plain diet festively exciting. And we write 'work bench' on our Father Christmas list before sticking bean poles in the ground as usual. how to cook spinach . . .
and ignoring all other recipes in it, it's worth the price for that alone . . .
. . . pretty handy . . . hm. A fascinating read (your blog post, that is)! 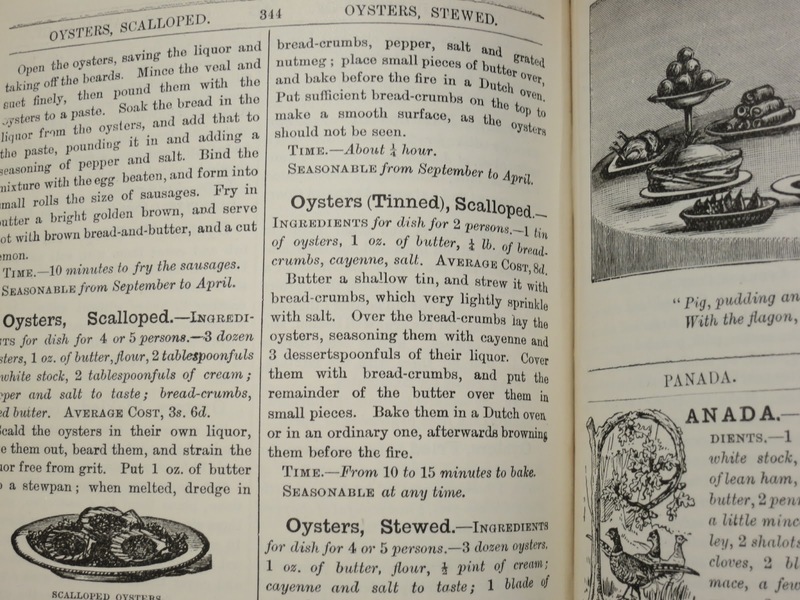 I would certainly read the Mrs Beeton cookery book - but that's just a sense of nostalgia for slower times. As for the gardening book, generally I love all the Dr Hessayon "Expert" books, which are so concise. The book you are reviewing looks more of a book for a DIY fan. Even though it's written by a woman, dare I say it is more of a "man's" style of book, or is that terribly politically incorrect? Hello Pat at Squirrel Basket. Yes. 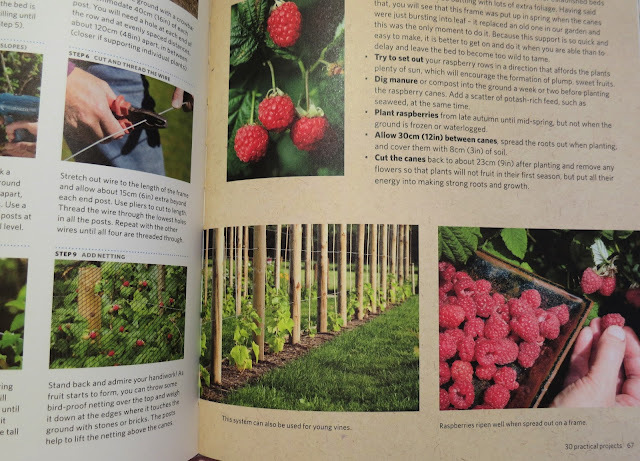 I've already decided to add in a bit about how although it's supposed to be a gardening book it might be of more use to someone who simply wants to learn about carpentry. But on your remark about it being more of a 'man's style book' - before I published the post I'd already edited a bit out which touched on this. I don't know if you listen to Gardeners' Question time on Radio 4, but there's always a question where someone asks how they can get their spouse to do or not to do something - and the team will come up with answers like 'put them in charge of the mowing'. And this came to mind while reading the book. One person wants to garden. 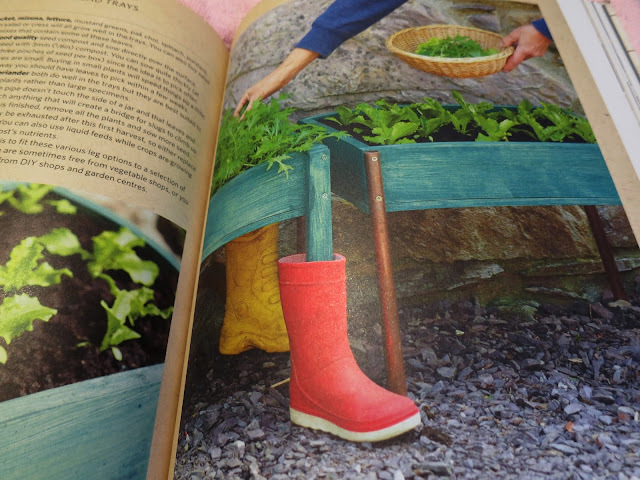 The other one wants to help but really gets in the way - so the 'gardening' one is advised to find something the non-gardening one can do which will give them the warm feeling they are doing something companionable and useful but it's really a kind of babysitting. And in this case it's carpentry. But it's backfired and the garden is now silting up with hefty wooden objects. It reminds me of homes where someone is mad keen on crocheting and everything in sight has some kind of crochet cover or adornment. Perhaps I will leave this comment here. Perhaps I'll edit it away shortly! Hopefully if the writers take a look at the post they won't read comments. I find it terribly difficult to write fair reviews without hurting the feelings of those who have put such enormous effort into creating the book. If I were to write one I'd want nothing but praise! I really enjoyed and laughed over your book review, Lucy. I'm ham-fisted and scattered too, so the book would be beyond my comprehension. 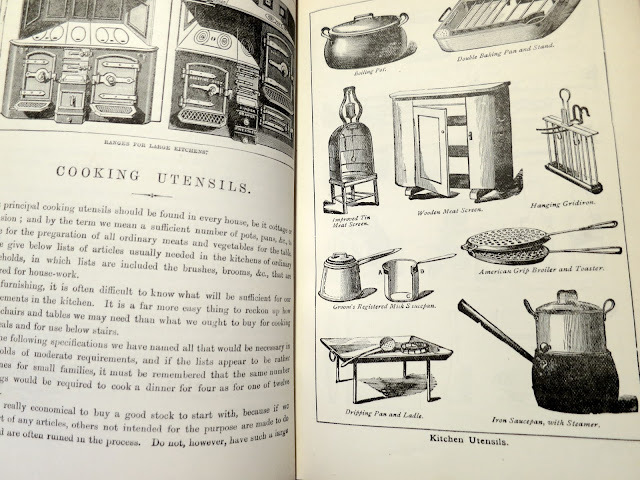 A 1903 edition of Mrs. Beeton, however, would be interesting.